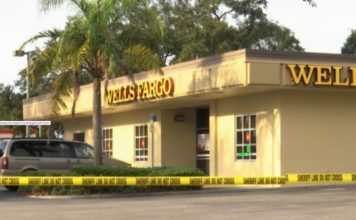 A North Fort Myers bank was robbed on Pine Island Road Monday afternoon. 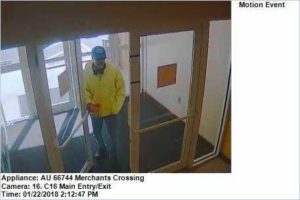 According to the Lee County Sheriff’s Office, the Wells Fargo Bank at 3041 NE Pine Island Rd near US 41 was robbed at 2:17 p.m. Monday. There were no injuries and it’s considered an active investigation according to LCSO. The suspect walked into the bank and presented a note to the teller demanding cash. The man then fled on foot with an undisclosed amount of money and headed toward the nearby McDonald’s. He may have then left the area in a blue Dodge Ram truck. 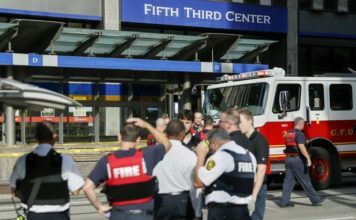 The suspect is described as being in his 50s, 5’10” with salt and pepper hair and a beard. He was wearing jeans, a yellow sweatshirt, a blue Gators baseball cap and dark sunglasses at the time of the robbery. 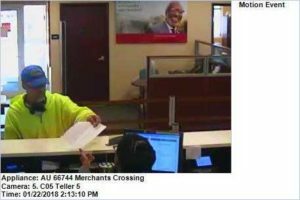 No gun was visible to the teller.